FOR THE LOVE OF ETSY | Save the Kales! 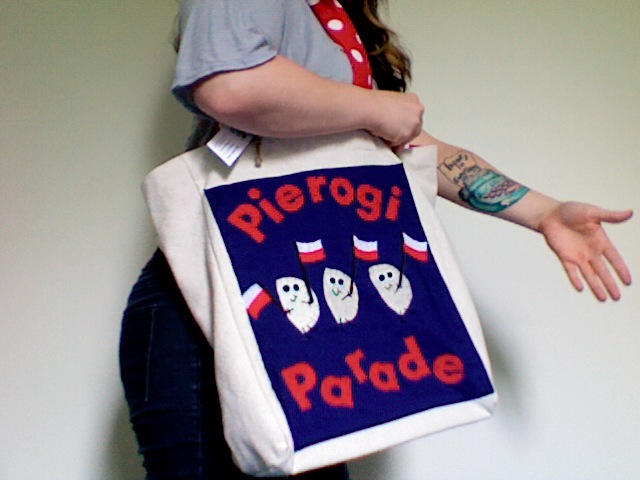 FOR THE LOVE OF ETSY: Pierogi Parade! Here is a list of random words I often type into Etsy’s search bar, in random order: mermaids, kale, vegetable art, vegan beauty, airstream trailer, wood and metal, midcentury modern chair, and pierogies. 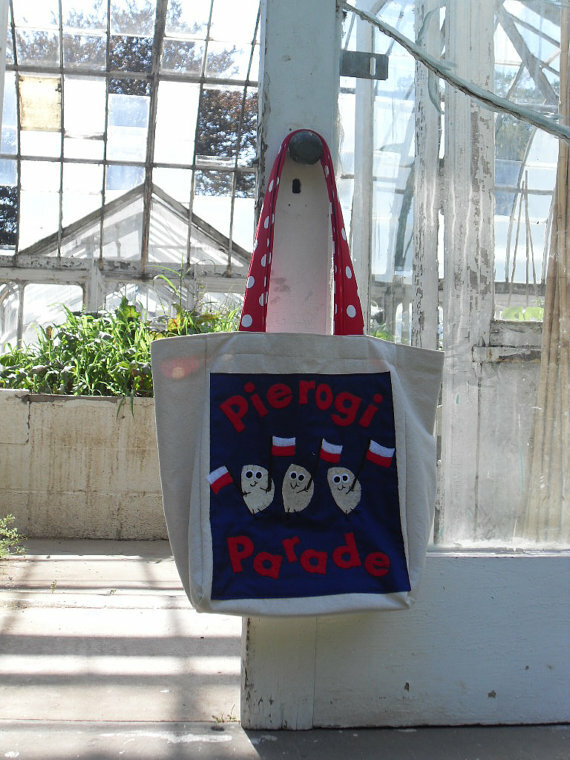 Imagine my hand-to-forehead dramatic excitement when I found this tote bag titled “Pierogi Parade”. I blinked, I tapped the computer screen, I slapped myself in the face a little… could I be dreaming? No. No is the answer. How about a whole parade of them? Yes, how about that. Until I figure out how to make this happen in real life, I get to enjoy this absolutely wonderful bag. A parade of pierogies = Dream Come True. And not only is it adorable and hilarious, but extremely well-constructed. I am truly impressed with the quality of this bag. It’s bigger than I thought, making it great for holding all the millions of things I insist on taking with me everywhere, a reinforced flat bottom, sturdy and comfy straps, and if the pierogies are proving just too cute and people can’t handle it (I hardly can) you can turn it inside-out for some pretty red and white polka-dots. And BONUS: Becky, the genius behind this bag, is located near my hometown of Wilkes-Barre, PA, where pretty much everyone is Polish. She is sweet as a pea and if you’d like your very own Pierogi Parade bag or to see the other goodies she has available, go to her online shop! Thank you Becky for your celebration of pierogies!